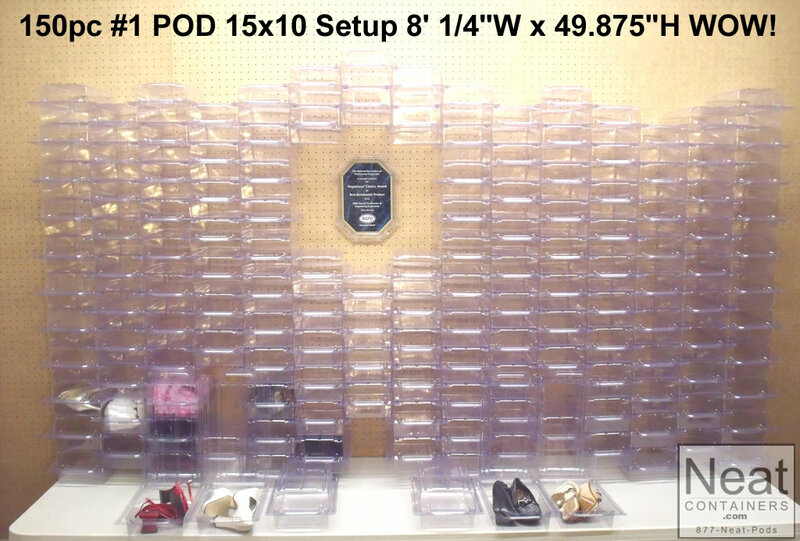 The�150pc�#1 Pod�Kit�is an�impressive kit for�storing and organizing shoes and a multitude of other items.� Just imagine how impressive this kit will look in your walk in closet or storage room! 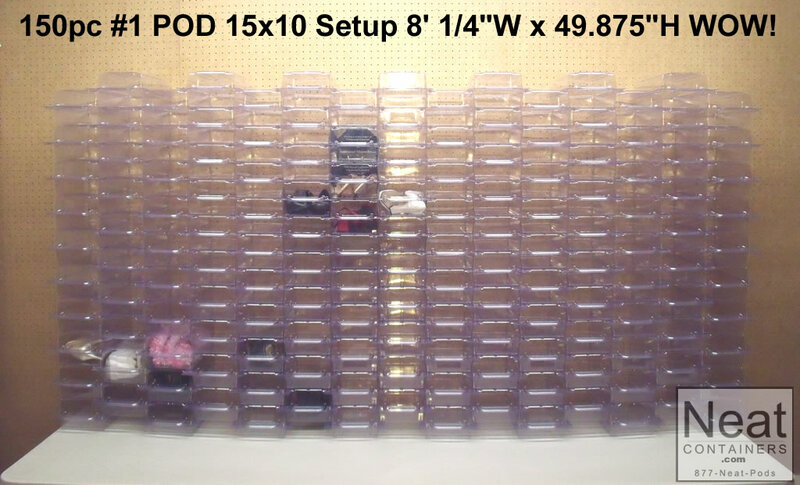 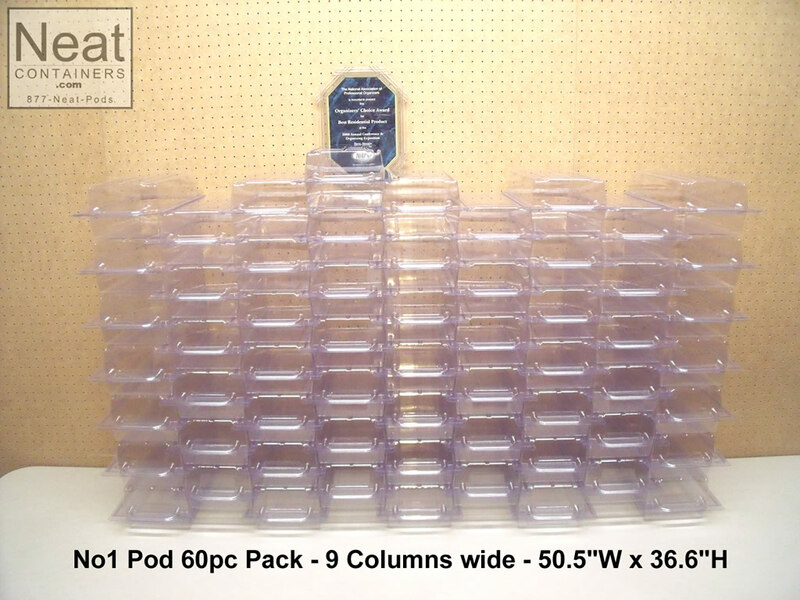 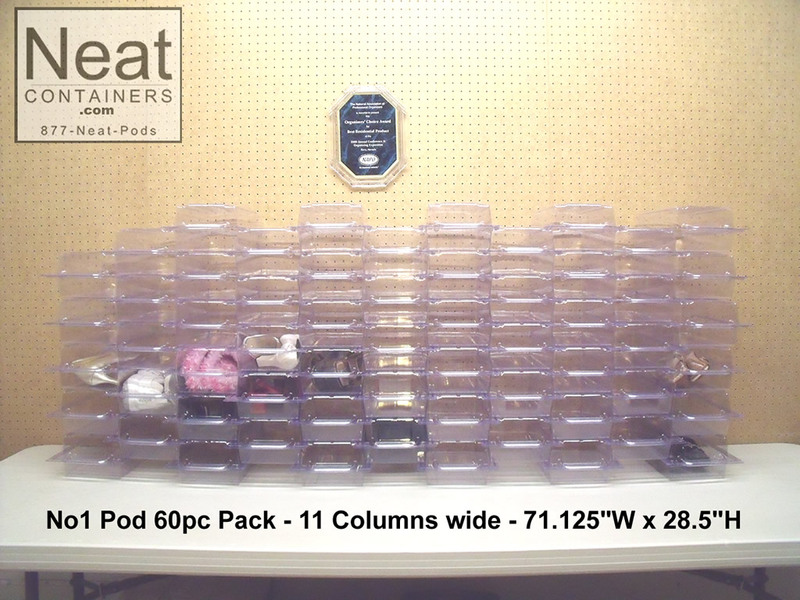 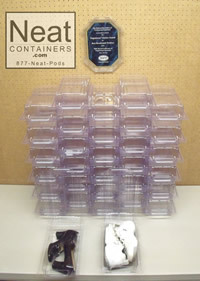 With 150 pieces you will be able to set the pods up in many different locations or, as shown, ALL TOGETHER! 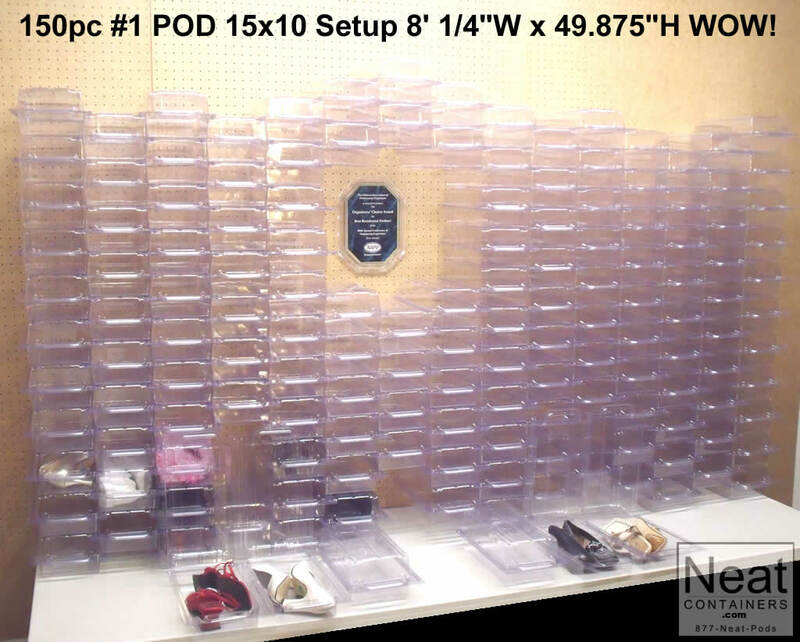 No more lost lids and piles just eXtreme organization. 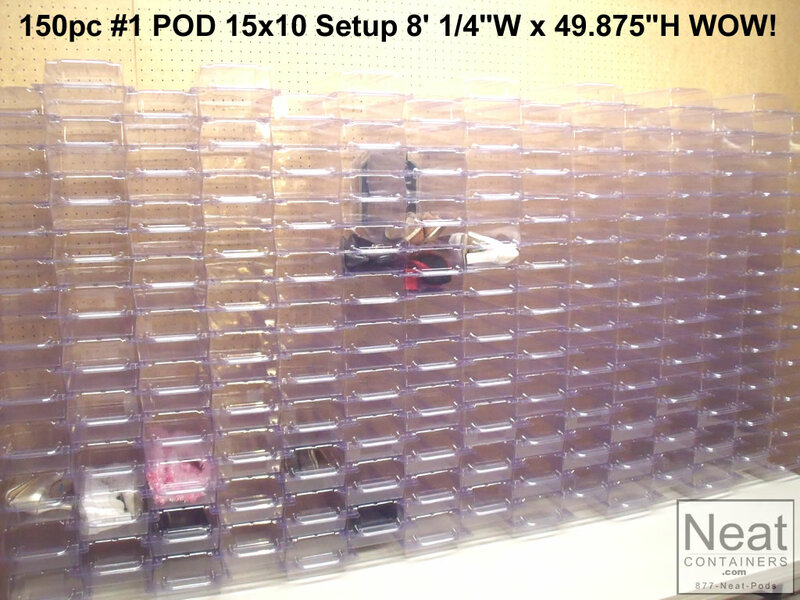 With the unique design you'll be able to remove individual storage pods from the stack without removing those above or having the stack collapse. 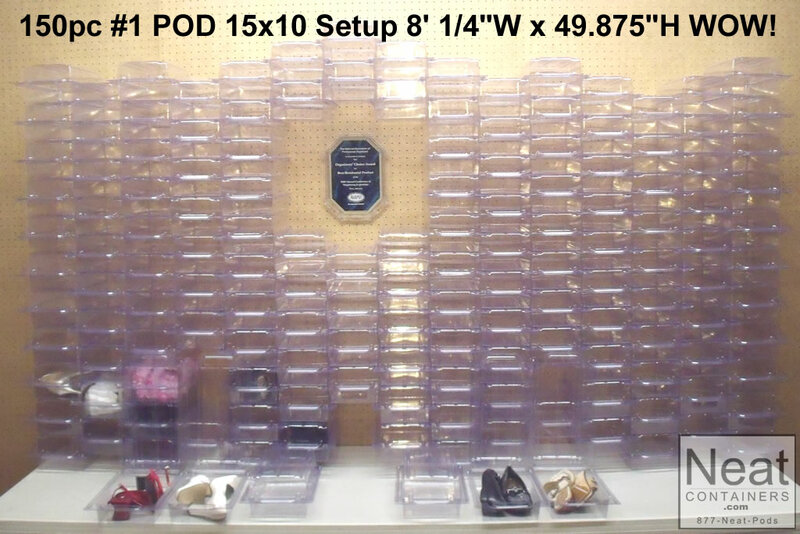 See our animations for accurate representations of this feature. 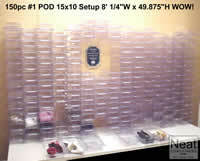 AND pods are CLEAR so you can see what's inside.